Oasis Palm and Oasis Tulum Love U! Oasis Resorts are all about entertainment, and that’s exactly what you want when booking a vacation for the entire family. At Grand Oasis Tulum/Oasis Tulum and Grand Oasis Palm/Oasis Palm, you’ll find activities for big and little ones, perfected with Oasis’s fun brand. Sarah John Afana gives us an overview with this Steller story of Oasis Tulum. – A video game area. – and a resting area. You can see why the resort is called Oasis Palm. Avast! You won’t want to miss out on the calm waters of the beach, perfect for families, or Captain Hook’s Pirate Cruise! During the day, its friendly pirates welcome young scallywags with family-fun activities on a replica ship. At night, fun-lovers come aboard on this adults’ playground that sets sail with drinks and disco. Oasis Tulum Loves U 2! Oasis Tulum is known for its legendary entertainment, including more than 50 in-house — singers, acrobats, rollerblade performers, comedians, and flash mobs. Its beach is revered with a coral reef for exploring, and since the resort is super close to the archeological sites of Tulum and the shopping mecca of Playa del Carmen, parents will enjoy the short trips off property, too! On-site, they can indulge with two spas, the Temazcal (a Mayan sauna), and the scuba diving center with a free introductory lesson. 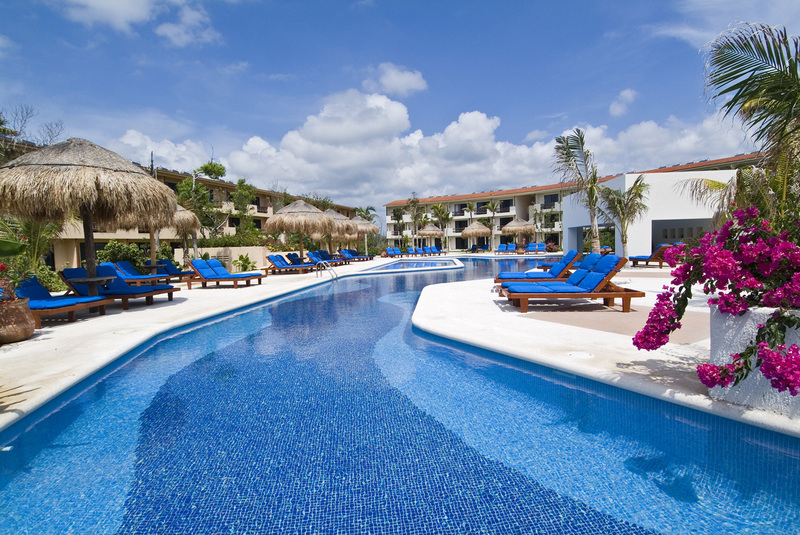 Oasis Tulum is a playground for both kids and adults with spas, clubs, and fun! The children will enjoy the multiple swimming pools (with a kids’ area), snorkeling, boogie boarding, soccer area, themed parties, live performances, and more! The Kids’ Club is also new and welcomes children aged 4-12. No matter which resort you choose to lay your head at, you can always get the party started or get your relaxation on with the Oasis Runaway Program. With the Runaway Program, all guests staying at a Grand Oasis property can visit every Oasis property, meaning guests have access to more than 40 restaurants, 50 bars, and amazing entertainment facilities at no additional cost. 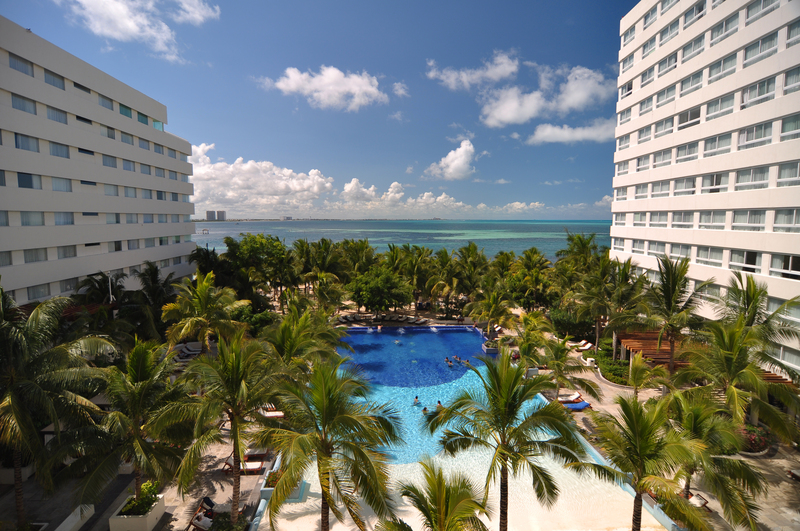 Guests staying at all-inclusive Palm and Tulum can visit each other’s resorts and enjoy the amenities provided. How about other resorts? Why not? Want to see a Vegas-style show in the lobby at Oasis Cancun? Go for it! How about trying that “molecular gastronomy” at Hacienda Benazuza? Right on! Transportation is not included, so check out the Oasis Smart car rentals to get between resorts. See all you can do at Oasis Resorts in this episode of Paradise Found with Ashley Colburn! Oasis loves you (and you! and you! and you! ), and it shows its love to families with a fully supervised kids club PLUS kids (12 years old and younger) stay, play, and eat free year round. Contact your local travel to request your GOGO Vacations’ package now!